That’s right – it was only designed to last for 20 years past its debut in 1889, but it’s still standing today, and is expected to stand for another two or three centuries. 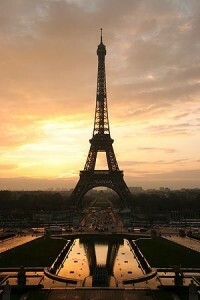 via Stuff I Didn’t Know: The Eiffel Tower Was Designed to Last for Only 20 Years | marfdrat. Pretty cool.